Growing lavender is not so difficult, and it can be grown year round. There are many herbs that never seem to reach their potential and are way under used. Lavender is definitely one of these herbs; it never seems to get the credit it deserves. It is an amazing herb that can be used for many different things. It has many healing benefits, eases stress, diet aid, cooking and as a sleep aid as well. Most often people use it for gardening and to spice up their yard. If you have ever seen the beauty of its growing or smelled the wonderful fragrance you will understand why. The best way to reap the wonderful benefits of this herb is to grow it yourself. It's actually quite easy to do. 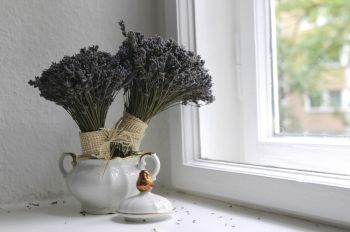 The majority of lavender planted is started from the cuttings off of the mother plant. This tends to be the quickest way to do it. It also seems the best way to get a true replica of the original plant. It can also be grown from seed. One of the main problems starting from seed is that it's difficult to find seeds for all the types. The other concerns with starting lavender from seed are the germination period which is very slow. So if you start with 100 seeds chances are by the time they are ready you won't end up with many. Quite often because they take so long they end up with mold and rot first. 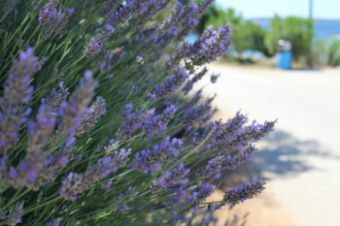 Lavender takes 3 years to reach their full maturity, yet well worth the wait. Hopefully this has answered a few questions on how to grow lavender. It is a bit of a pickier plant to work with yet the results and their beauty is amazing. As an alternative many people use pure lavender oil. This is a great option and can be used for anything that you would normally use lavender. This is also a wonderful option if you don't want to take the time or put forth the effort to grow your own. Either way you choose to use you won't be disappointed. Lavender is also a pain reliever. Its mild scent generally soothes and relieves all the tension, so its essential oil can be used for massages, and reliably helps with rheumatic and muscle aches. Its essential oil is one of the rare oils which can be directly applied to skin, without the need of diluting. Since it stimulates regeneration, it is also great for healing wounds as well as scars, acne, eczema and burns. It is also a useful remedy for all bacterial and fungal skin infections. We can also use it for inhalation by pouring a few drops in a bowl of hot water. This way we will clean up our respiratory system and freshen up our entire organism. 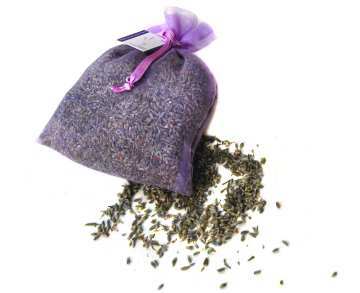 Lavender will ensure a good night's sleep, and it allegedly has some aphrodisiac features. The fragrant smell is very unique and one enjoyed by many. As much as lavender may not be one of the most used herbs, without a doubt it is one of the most beautiful visually and fragrantly. To most effectively melt the soap we need to heat it up (chopped first) over steam. Then add lavender tea (which is prepared as any other tea). Stir it with a ladle until the soap is entirely melted. Add some lavender flowers to the melted soap, while heating it for half an hour. When the mixture is done, strain it through cheesecloth. In the end add a teaspoon of lavender's essential oil. Stir it up once more. Put the soap in already prepared and gently oiled molds and leave a couple of days to dry and harden.